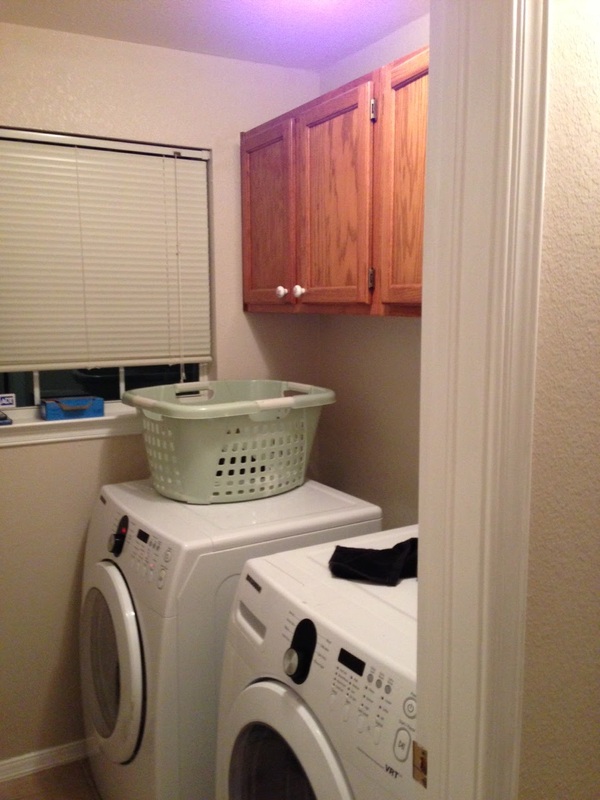 Last night my brother sent me some pictures of the small laundry room in their new house. He was looking for storage and organizational solutions in that laundry closet. Now, I know my brother pretty well– I lived with him for the majority of my life. He's very messy. I feel sorry for his wife! 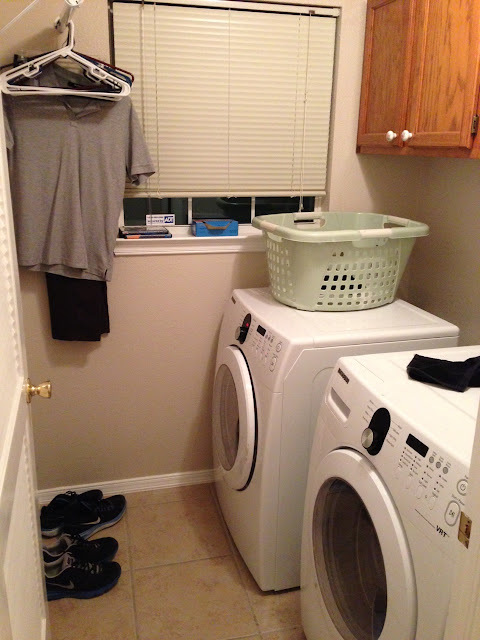 And he wears three or four outfits a day (workout gear, teaching clothes, coaching clothes, etc), so he is constantly doing laundry. I'm sure the state of the laundry room is important to his wife's sanity and their marital bliss, so I volunteered to come up with some storage ideas. I know I've seen some pretty awesome laundry rooms on Pinterest, so of course that's the first place I went for inspiration. 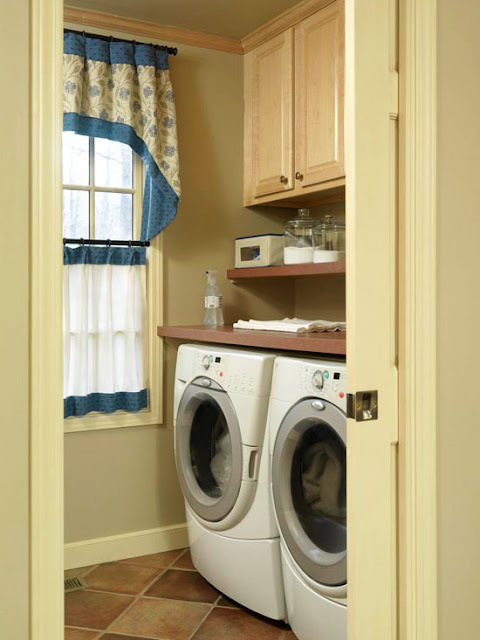 Obviously we need to take advantage of the space between the washer/dryer and the upper cabinets. Valuable real estate right there! 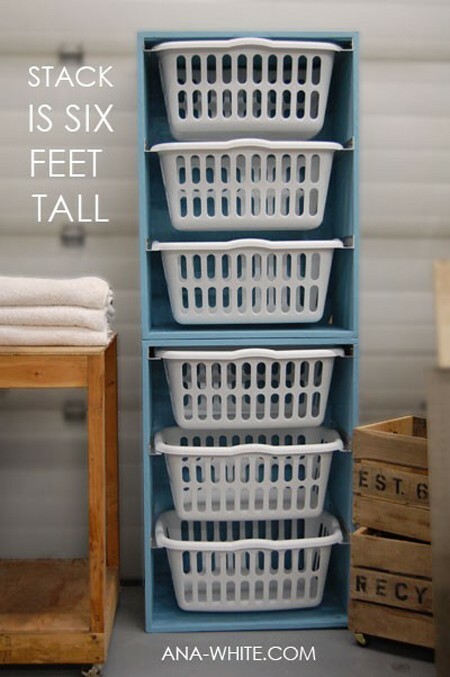 I think he should build a platform for the washer and dryer with storage underneath for laundry baskets, like this one from Sweet Pickins. She walks through the entire project on her blog. Brilliant! That should still leave some room between the machines and the upper cabinets, so I would build a countertop on top of the machines. It would be a great folding area and another place to store thing without worrying about them falling between and behind the machines. That's the worst! The other option is to remove the upper cabinets and stack the washer and dryer. That would open up an area beside the machines for storage. 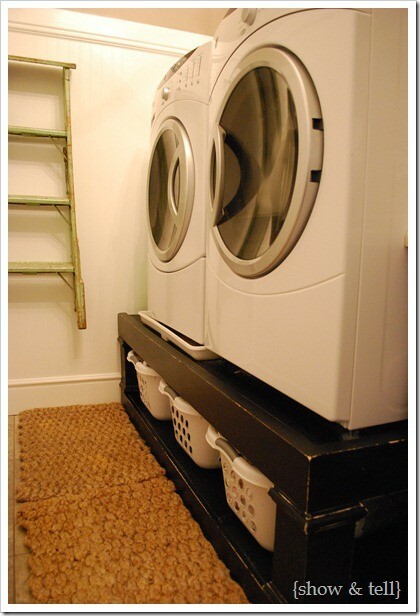 They could build a shelving system beside it like this one from Ana White's awesome website. 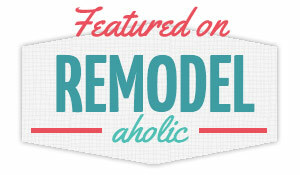 She gives detailed building plans for all of her projects, so it would be easy to create this. What do you think they should do? Do you have any ideas?